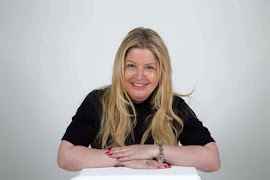 Claudia McGloin Clinic: Get your Veins treated correctly from the beginning! Get your Veins treated correctly from the beginning! 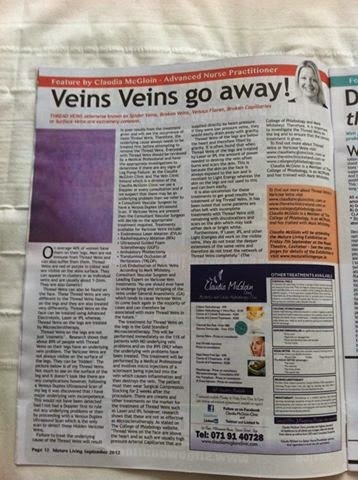 GP's are still telling their patients that Thread Veins are only Cosmetic and nothing to worry about. This is so NOT true! FACT: - 9 out of 10 people with Thread Veins will have an underlying reflux and will need treatment for Varicose Veins! 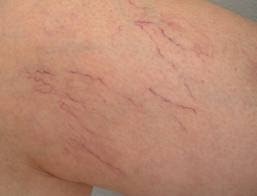 Remember that not all Varicose Veins are visible on the skin! Everyone needs to have a Doppler and a consultation with a Medical Professional with Vascular experience before proceeding with any treatment on your Thread Veins. Getting it right from the beginning will save you time and money! Thankfully in Ireland, The Vein Clinic Ireland which is a sister clinic to the Claudia McGloin Clinic is dedicated and specialises in Veins! Visit our website www.theveinclinicireland.com for further details on Vein Conditions, Treatments & Investigations.